The Race Face CINCH Power Meter Spindle brings power to Race Face cranksets, which are some of the lightest and best performing MTB cranksets there are. 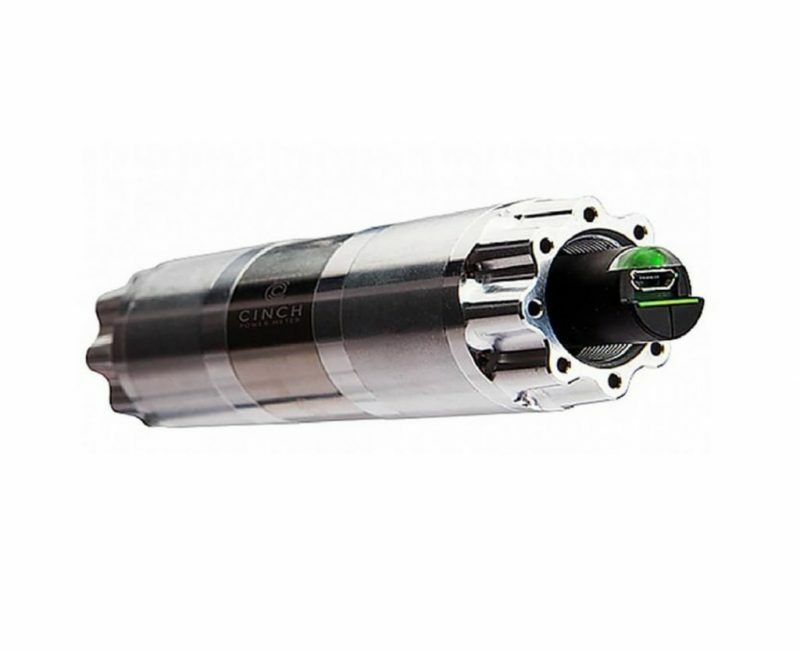 In addition to providing accurate and reliable power and cadence data (accurate to within 2.0%), the Race Face CINCH spindle is hidden in your bottom bracket shell. This means it is protected from impact as well as the elements, such as rain, rocks and mud. The Race Face power meter is compatible with Race Face cranksets included the Next SL G4, Next G3, Next R and Turbine. The Race Face power meter uses a rechargeable lithium-ion battery which provides 400 hours of battery life and adds a mere 65 grams to your bike. In addition, the Race Face CINCH Spindle is both ANT+ and Bluetooth compatible, so you can use your favorite head unit or smart phone. Best of all, at $599, it’s one of the more affordable power meters you’ll find. The power meter is safely located in your bottom bracket, so it is protected from impact as well as rocks, rain and mud. The CINCH is both ANT+ and Bluetooth compatible. This means you can use your favorite head unit or smart phone. The Race Face CINCH Power Meter adds a mere 65 grams of weight to your bike, which is only about 1/10th of a pound. The power meter uses a rechargeable lithium-ion battery which offers a 400-hour battery life, much longer than most power meters. You can purchase the Race Face CINCH Power Meter Spindle only for $599. This assumes you already have a compatible Race Face crankset to use it with. If you would like to also purchase a compatible Race Face crankset, please contact us for pricing and availability.